This is the first in a set of blog posts by Plan 28's Technical Director, Doron Swade, about Charles Babbage's many inventions. From his school days Babbage was interested in ciphers. He recalled that ‘bigger boys’ made ciphers and that if he could get a few words of the enciphered message he could readily crack the code. On occasions he was beaten up for his efforts and he observed, resentfully, that the ease with which he deciphered the codes was largely the fault of the code-makers’ own stupidity. In 1854 (Babbage was 63) a Bristol dentist John Thwaites, claimed to have invented a new cipher. Babbage recognised at the Vigenére Cipher, that after 300 years still defied the best attempts to crack it. Thwaites, peeved that the cipher was not original, challenged Babbage to crack it. Babbage found an undetected weakness in the cipher and broke it – a remarkable achievement that was not publicly disclosed. Nine years later the solution was published by Fredrich Kasiski who had cracked it independently and the technique has since become known as the Kasiski Test. It is unclear why Babbage did not claim credit for his breakthrough. 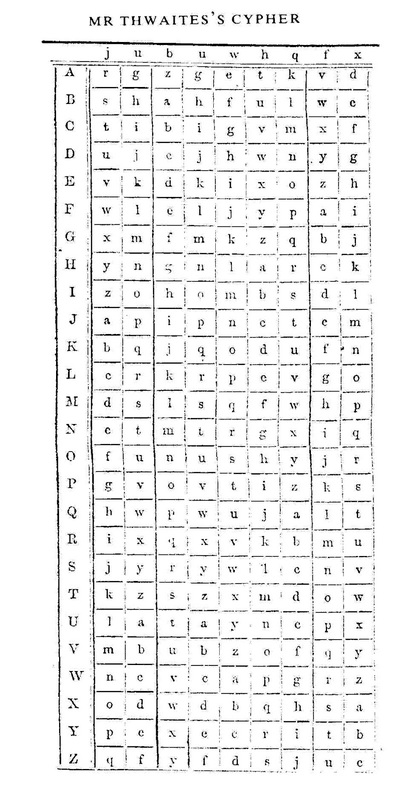 One speculation was that it came not long after the start of the Crimean War and British intelligence would enjoy an advantage over the Russian foe if the enemy believed the cipher to be intact. Babbage withdrew from code breaking in 1857. His attitude seems to be ambivalent. 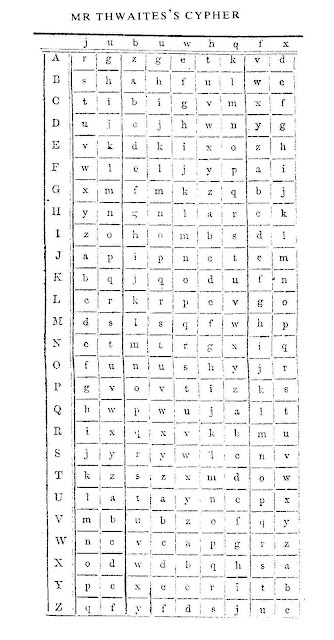 He regarded deciphering, as ‘one of the most fascinating of arts’ but had become exasperated at repeated challenges observing that ‘few ciphers are worth the trouble of unravelling them’, and that any intelligent school boy could make a cipher that would ‘cost hours and even days, for its solution. A side of Babbage I was unaware of. Fascinating. His writing on his experience with the "poor" also fascinating. I love his recommendation to fund the policeman to watch over the poor.